St. Maria Goretti High School first opened its doors to students nearly 60 years ago in the fall of 1955. Since then, the school has continued to carry out its mission of preparing students for college and helping them grow academically, spiritually, socially, athletically, and artistically. Located in Hagerstown, Maryland, Goretti serves students from around the region including Washington and Frederick counties in Maryland, Franklin and Adams counties in Pennsylvania, and Berkeley and Jefferson counties in West Virginia. We also have international students from countries including China, Poland, and Cameroon among others. St. Maria Goretti High School grew from St. Mary’s High School, which was established in 1933 and located in downtown Hagerstown. In the early 1950s, the school, then consisting of faculty, staff and 118 students, was moved to its current location. Ground was broken for the new facility on August 1, 1954. The school opened in August of the following year under a new name – St. Maria Goretti High School. From the beginning, a majority of the administration and faculty came from the School Sisters of Notre Dame, a tradition that continued until the early 1970’s when more lay persons joined the staff. The school is grateful for the lasting impact that these sisters had on the intellectual and spiritual growth of our students over the years. During 1965, a building known as the gymnatorium was completed to be used for physical education, sporting events, assemblies, and school plays. Today this building is known as the Gael Center and is the hub of school activity. 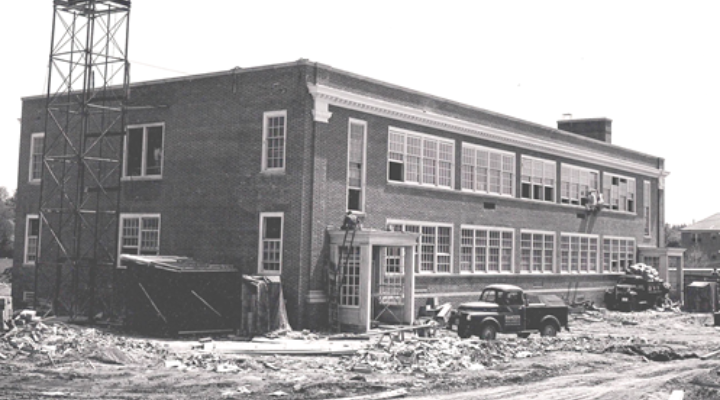 Through the years, additions and revisions were made to the original buildings to meet increasing enrollment. The campus, located in northern Hagerstown, is comprised of the school, Gael Center, the administration building, and athletic fields. Located in the main school building are classrooms, science labs, offices, faculty rooms and the cafeteria. The art and music rooms are located at the rear of the gymnasium. The athletic fields provide accommodations for soccer and baseball. There are many more athletic activities offered such as tennis, basketball, lacrosse, cross country, and golf. St. Ann Church, located adjacent to the school campus, provides an appropriate setting for school liturgies.